Suffering from the big-car and gas-guzzling blues? 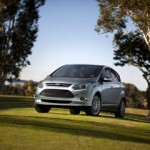 Check out this smart family solution: the new Ford C-MAX hybrid from Ford. Americans have a unique tendency to buy more car than we need. We plunk down for a pricey SUV or CUV because we just might have another baby, or take that cross-country road trip we’ve always dreamed of, or quit our jobs and start that antique restoration business. And often as not, all that wheeled behemoth does for us is drive up our fuel bills and make parking at the Mall like trying to fit into the jeans we wore in high school. 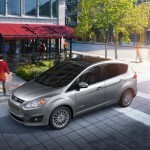 In order to help solve this uniquely American problem, Ford is introducing a European solution: The 2013 Ford C-MAX Hybrid, a smart five-seater that offers the passenger space of a small SUV, yet has the exterior dimensions of a compact sedan. 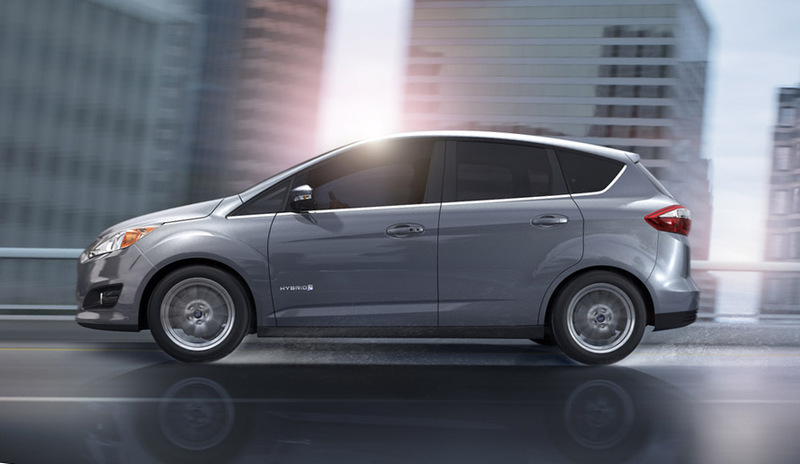 Because of our ever-climbing gas prices — not to mention government-mandated increases in fuel economy — Ford is bringing the Ford C-MAX to market as a 47 MPG hybrid. No surprise, then, that they are pitching the C-MAX as an alternative to Toyota’s venerable Toyota Prius and jumbo-sized Prius V.
The 2013 Ford C-MAX was designed by the company’s European division, and that shows in the interior: The design is fresh, modern and refreshingly simple, with top-quality materials all around. The driving position is a cross between an SUV and a car: The driver sits upright, but doesn’t tower over traffic as she would in an SUV. The comfortable front seats use eco-friendly soy-based foam for the cushions, upholstered in cloth on the entry-level SE model and leather in the top-of-the-line SEL. The C-MAX’s dashboard looks traditional at first glance, and downright futuristic at the second: The speedometer is flanked by two video screens, each with user-selectable displays that show you all sorts of information about what the hybrid system is doing. Maybe too much information — there were times when I found myself staring at the displays when I really should have been looking out the windshield at where I was going. Small as it is on the outside, the amount of room inside the C-MAX is pretty darn impressive. The big back doors provide plenty of space to arrange infants in car seats, and they’re also a boon for older passengers, who won’t have to duck so far down to get in. Once inside, adults (and tall kids) will find just as much stretch-out and sit-up room as they would in a mid-sized SUV. Small storage spaces under the rear seat footwells provide the perfect place for kids to stash iPods and PS Vitas away from thieving eyes when the car is parked. The 24.5 cubic foot trunk in the Ford C-MAX isn’t quite in SUV territory — most of those are 30-plus — but it will easily accommodate bulky suitcases or a month’s worth of groceries. The cargo floor rises above bumper level in order to accommodate the hybrid battery pack, but the floor is flat and level, and the rear seats can be folded down by pulling a single lever. One of my favorite features is the optional foot-activated tailgate: If your arms are full of groceries (or kids), all you need to do is wave your foot under the C-MAX’s back bumper, and the tailgate opens like Ali Baba’s cave. Brilliant! 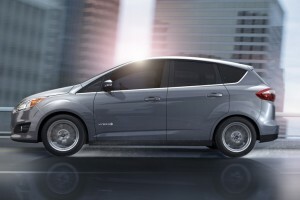 The 2013 Ford C-MAX Hybrid is powered by a 188 horsepower gas-electric hybrid drivetrain based around a 2-liter four-cylinder engine. Acceleration is seamless and strong compared to the Toyota Prius; the C-MAX easily charges up hills that the Prius has to work hard to climb. But the braking on my test car was very abrupt, and I had to remember to tread gently on the pedal to avoid whipping my passenger’s neck around like a rag doll. Very unpleasant. The C-MAX’s EPA fuel economy ratings are excellent: 47 MPG for both the city and highway ratings, compared to 48 city/51 highway for the regular Toyota Prius (which has less back seat room) and 44/40 for the bigger Prius v (which has more cargo space). However, during my brief (and mostly law-abiding) drive in the C-MAX, I averaged just 39 MPG; when I reviewed the Prius v, I averaged 46. Only time will tell if the C-MAX achieves its EPA numbers in day-to-day driving. Based as it is on the Ford Focus, I expected the C-MAX to be good fun to drive. The C-MAX does have the same responsive steering feel as the Focus, and despite its taller stance, it feels nearly as steady in turns. However, the Michelin Energy Saver tires are designed for good gas mileage, not good grip, and with its portly 3,600 lb curb weight — the hybrid system’s batteries really weigh the C-MAX down — the C-MAX wallows its way through the corners, feeling less precise than the Prius. 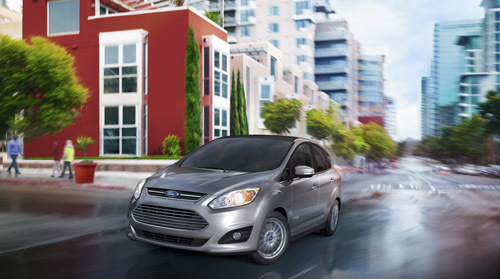 The 2013 Ford C-MAX is available with two of my favorite gadgets: First is SYNC, which lets you program the navigation system and control the stereo (including your iPod) with voice commands. Several cars offer voice recognition, but Ford’s works better than most. 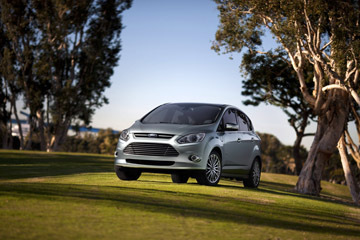 Second is Active Park Assist system, which allows the C-MAX to virtually parallel-park itself. 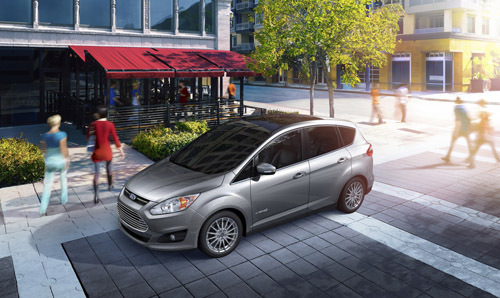 Activate the system, and the Ford C-MAX uses sonar sensors to look for a parking space into which it will fit. Once it finds one, you simply stop, take your hands off the wheel, and back up; the C-MAX uses its electric power steering system to steer itself into the spot. The Ford C-MAX is also offered with the controversial MyFord Touch system, which uses a touch screen and steering wheel buttons to control the stereo, navigation and air conditioning. It’s a neat idea, but it makes simple operations (like turning down the fan or changing CD tracks) more complicated than they ought to be. This is one technical gizmo I’d prefer not to have; unfortunately it comes standard in the top-of-the-line SEL model. 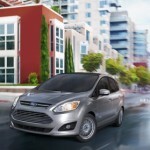 Ford is offering the C-MAX in SE and SEL models. The SE model includes dual-zone automatic climate control, cloth seats, and the SYNC system, and is priced at $25,995, mid-way between a Toyota Prius and a Prius v. SEL models, with leather and MyFord Touch, starts at $28,995, with fully-loaded examples priced at $33,710. I'm not sure I buy Ford's argument that the C-MAX is a replacement for the Toyota Prius v, only because the Prius v really does have as much space as most small SUVs, and the Ford C-MAX doesn't. But how many of us really need all that space? After a few miles in the C-MAX Hybrid, I was taken by what a smart solution it is. 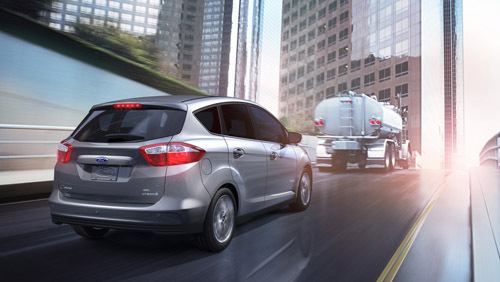 By giving up less than a third of the cargo space of a small SUV, you can get a Ford C-MAX that has just as much passenger room and parks almost anywhere. 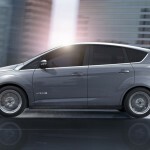 And best of all, the C-MAX Hybrid goes twice as far on a gallon of gas as a regular gas-powered car -- so maybe this year you really will be able to afford to have that baby, or take that cross-country road trip, or maybe even quit your job and start that antique restoration business. you an e-mail. I’ve got some suggestions for your blog you might be interested in hearing. Either way, great blog and I look forward to seeing it improve over time. It’s at the bottom of the homepage. Click on it and you can contact us. I thought my 2013 C-MAX would be a Prius Killer? NOT! As a returning Ford buyer I feel deceived. I want to support US companies and US jobs. What was Ford thinking when they published 47/ 47/47 estimates? Based on the advertised EPA estimates, I would have been ok with low 40’s but 28-33 mpg is not even in the ballpark. This is not an issue about EPA testing standards, but rather an issue about setting false customer expectations in order to promote sales. 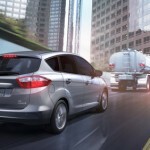 Ford’s “47MPG” marketing campaign tarnished what should have been the roll out of a truly remarkable vehicle, the CMAX. Real world MPG estimates should have been promoted in the mid-30’s. No one would have questioned those numbers and the CMAX would have received the accolades it deserves. How these MPG estimates made it through Ford corporate is beyond me! Maybe it was the rush to go to market? 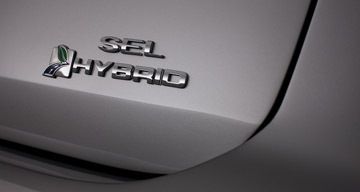 I have been accused of not knowing how to drive hybrid. For the record, during the last three years I have leased both a 2010 Prius and 2010 Honda Insight Hybrid, and consider myself an experienced hyper-miler. My mileage in the Prius is 50 plus, the Insight is 40 plus. The C-MAX is a well-built car, with extremely inflated EPA estimates. I respectfully request that this matter be investigated as soon as possible. My efforts to deal with this locally and through Ford customer service have frustrated me to no end. The constant response? “You need to learn to how to drive hybrid type of vehicle “. 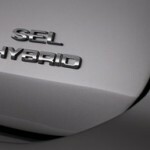 Is there a difference how I drive Prius Hybrid vs. the CMAX hybrid? I think we all know the answer to that. I need someone at Ford to reach out to me and assist in a proactive manner so we can put this matter to rest.